Video can be key to conversions and sales, a recent study confirms. For email marketers, using video should be a no-brainer, but the email-video combo still feels like a rare pairing. Only 25% of marketers surveyed last year reported that they used video in their marketing, and a quick look at my own inbox supports that statistic. But the emails with video are the ones that I (and many others) find most memorable, so why aren't more marketers using them? If you've been at this marketing thing for a while, you know that video and email were tough to combine: You had to find a place to host the video, and you had to create a custom thumbnail to include in your email. But with the accessibility of YouTube, the dawn of HTML5, and the rise of mobile email opens, all of that is changing. It's now much easier for email marketers to show off their brand and provide a ton of value with video content. Here are four ways to make video plus email a winning combination. Most of us are visual learners. 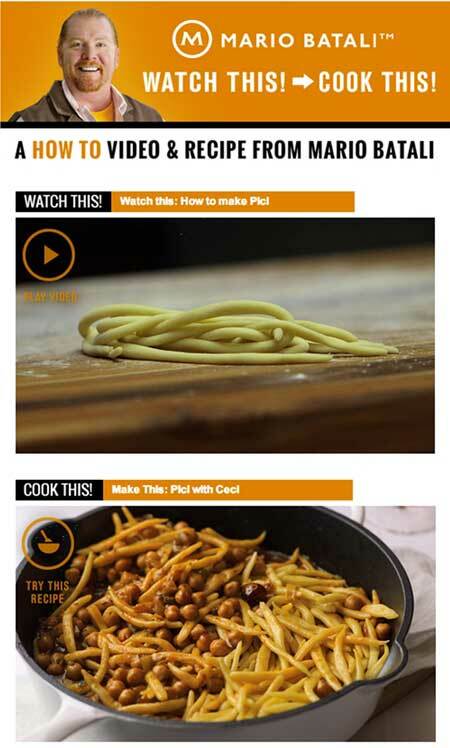 That may be why Mario Batali incorporates video in email to teach subscribers different cooking techniques. It's simply more engaging and effective than a step-by-step list of instructions. Emily Konouchi is director of content and communications at Emma, an email marketing software and services provider that helps organizations of all sizes get more from their marketing. She is also the director Emma’s communal dishwasher-emptying efforts, but only when she has writer’s block.